Trends come and go, especially in the jewelry industry. While the classic, sparkling diamond has remained one of the most sought-after gems for centuries, diamonds themselves come in many different shapes, each of which has had its own time to shine. This is due to the fact that each diamond shape impacts the appearance and brilliance of a diamond in a unique way. Before the twentieth century, flashes of color (“fire”) were highly prized, while at the turn of the century, elongated, staircase-like step cuts were all the rage. Note that a diamond’s cut is different than a diamond’s cut shape. Cut references the overall quality of a diamonds proportions as well as its ability to reflect light, while diamond shapes are created with different types and techniques of cuts. To learn more about evaluating a diamond’s cut, check out our Quick and Easy Diamond Cut Value Guide. First, it should be noted that there are two types of round cuts: the “old” round (also known as European) cut, and the modern brilliant cut diamond. While the vintage cut has it’s own appeal, the round brilliant is by far the most popular shape due to its intense sparkle. Round-cut diamonds have 58 facets that reflect an incredible amount of light, making this shape the most brilliant. Over 75% of all diamonds sold on the market today are round brilliant diamonds. However, this shape can also be one of the most expensive cuts, not due to its popularity, but rather because much of the diamond is lost during the cutting process. 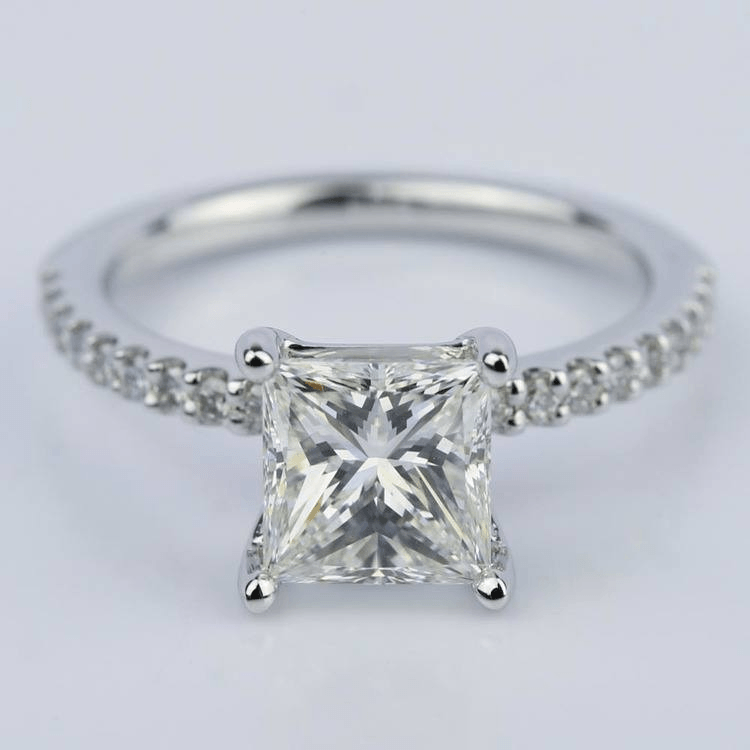 Second only to round diamonds in popularity, the princess cut was first introduced in the 1980s and has been increasing in popularity since. This is one of the few “mixed” diamond cut types, which means it has elements of both brilliant and step cuts. 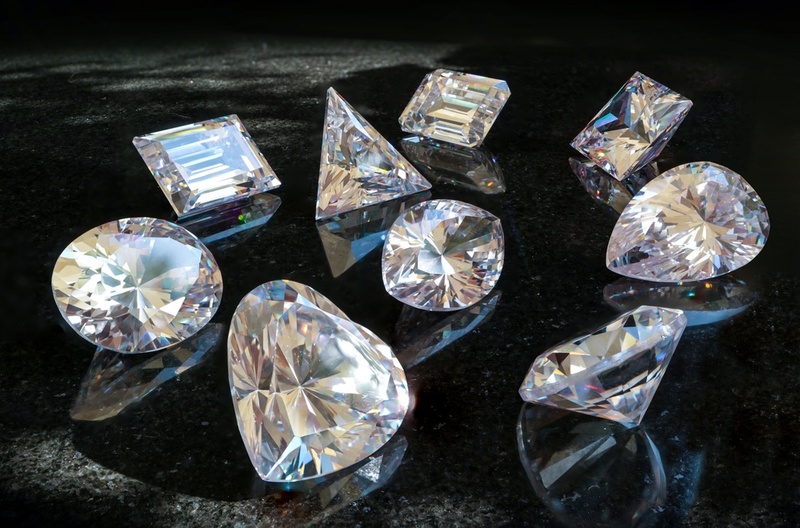 This means that while Princess diamonds are very brilliant, they are less expensive than round cuts because less of the diamond is lost during the cutting process. Many people choose this cut when they want a brilliant diamond that has clean lines and a modern shape. Cushion-cut diamonds are right behind round cut and princess diamonds in terms of popularity and have been around for centuries. 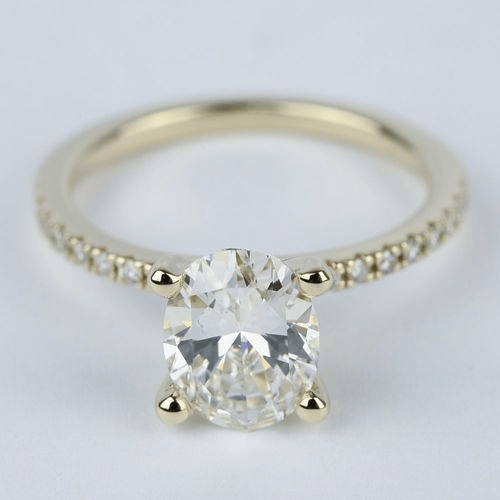 In fact, one of the most popular cuts of the eighteenth century, the “old mine cut,” was once generally referred to as a cushion cut. Their popularity was in large part due to the increased number of facets on the crown of the diamond. Without more advanced cutting techniques, however, the cushion cut—with it’s rectangular shape and slightly rounded corners—was as close to a round cut as jewelers could get. 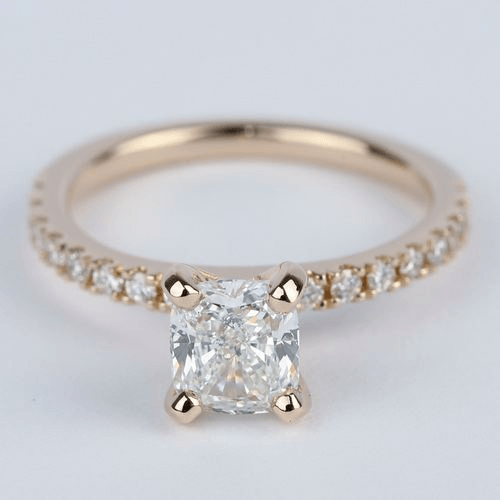 Today, the cushion cut is also known as the “pillow” cut because of its soft edges and large facets. It can have anywhere between 58 and 64 facets and can be more rectangular or nearly square. Depending on the diamond, it can appear vintage or modern. 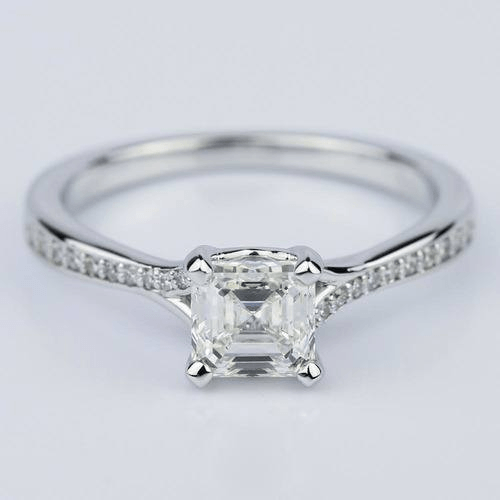 There is also a modified cushion brilliant cut that adds an extra row of facets to intensify the fire of the diamond. Diamonds that have this modified cut often look like crushed ice. Invented in the late 1950s by a Russian diamond cutter famous for being able to cut heavily included, “worthless” diamonds into flawless gems, the oval-cut diamond has become more popular in the last few years as people look for alternatives to the round-cut diamond. With the oval cut, you get a uniquely-shaped diamond with the same feel and brilliance of a round diamond. Because of its elongated shape, smaller oval cuts also tend to appear larger than other diamonds of the same weight. This shape is also incredibly flattering since it creates the illusion of slender and ladylike fingers. Undoubtedly, it has also benefitted from recent celebrity rings, like that of Blake Lively. 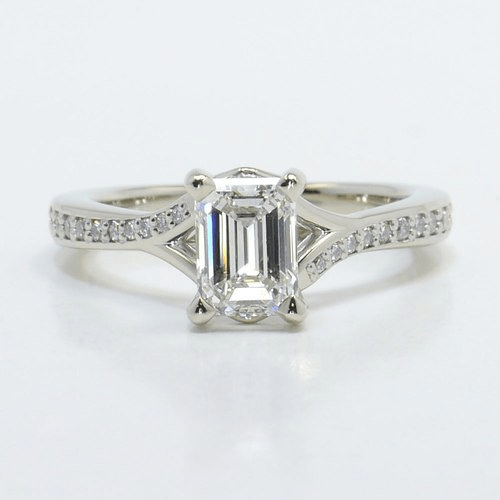 The emerald-cut diamond is cut very differently than brilliant cuts, so it doesn’t have the same sparkle and shine. It has large step facets that reflect off one another and make it easy to detect inclusions and color within the stone, which is something to keep in mind when shopping for an emerald cut diamond. Although it’s not on the top of the list of most popular diamonds now, the emerald-cut diamond was in high demand during the 1920s, at the height of the Art Deco era. The symmetry and mirror-like effect of the step cut appealed to jewelry lovers of that decade, as well as any modern buyer who loves the Art Deco aesthetic. While it may not be as popular as it once was, there are still a number of stylish celebrities that wear this cut, including Beyonce and Amal Clooney. Radiant-cut diamonds are a relatively new cut, designed to have the brilliance of a round-cut diamond, but a similar shape to the emerald cut. 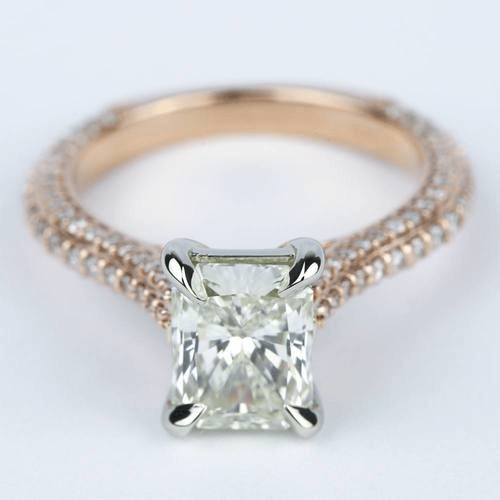 Because they have combined the sophistication of the emerald cut and the sparkle of the round cut, this shape has been popular since it was first introduced in the 1970s. Many people are still unaware that this cut exists, which could explain why it’s not as popular as other brilliant cuts—and why they’re perfect for anyone wanting a unique piece of jewelry! The Asscher-cut diamond has the same clean, architectural feel as the emerald cut, but with a higher crown and larger facets. This creates a more brilliant “hall of mirrors” effect than appears in other step cuts. It also allows for more of the rough diamond to be saved when cut, creating a more brilliant and more affordable diamond. The Asscher cut was created in 1902 and was an instant hit, peaking in popularity in the 1920s and falling out of fashion during the Great Depression. It began to increase in popularity in the early 2000s due to the number of celebrities who had engagement rings with diamonds of this shape. Interest has died down slightly since then, but it still remains one of the eight most popular diamond shapes. 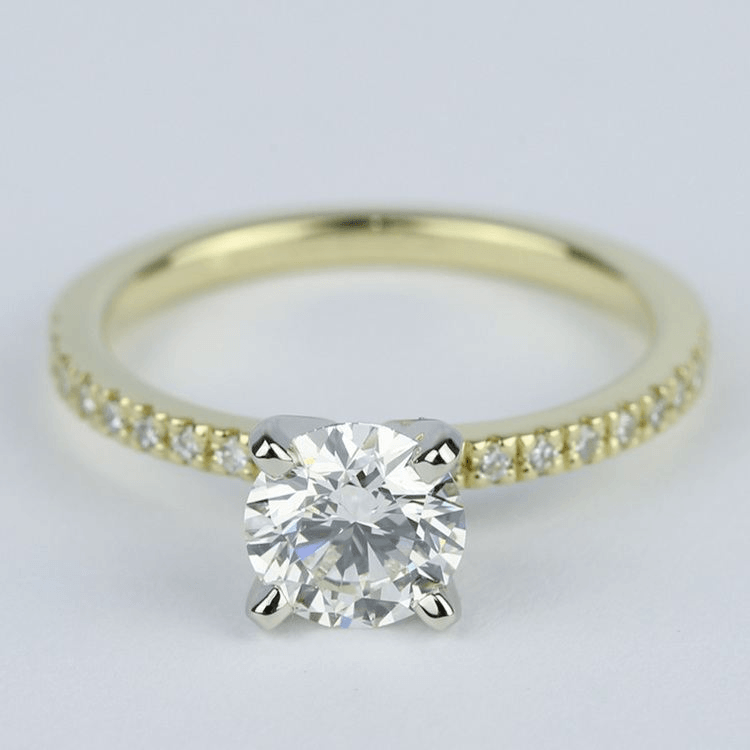 Due to its shape, this modified brilliant cut is often referred to as the teardrop diamond. This diamond shape has maintained steady popularity throughout the years, especially in settings such as necklaces and earrings. In 1957, famed playwright Tennessee Williams wrote an entire screenplay, The Loss of a Teardrop Diamond, about a pair of borrowed—and subsequently lost—pear-shaped diamond earrings. 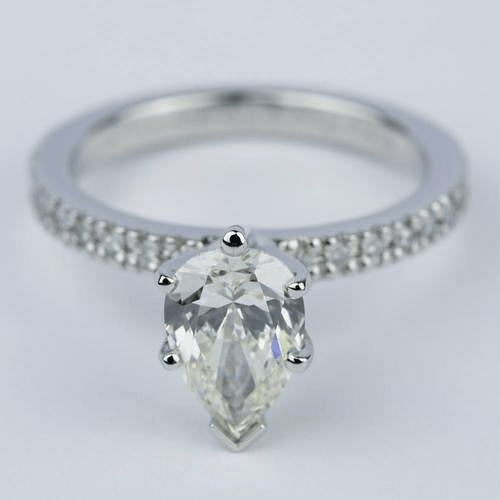 For engagement and diamond rings, the pear has been a long-time favorite for accent stones or side stones in three-stone ring settings. Lately, however, it’s been gaining popularity as a center stone in its own right and is expected to continue gaining steam in the years ahead. Pear diamond rings are a great choice for those who want a unique shape that elongates the finger and works well in any type of setting. Now that you know the many different popular diamond cut types, you can choose which shape is right for you.